Arvid Nordquist’s interest in taste began when he opened Delicatessen at Nybrogatan in Stockholm, Sweden in 1884. 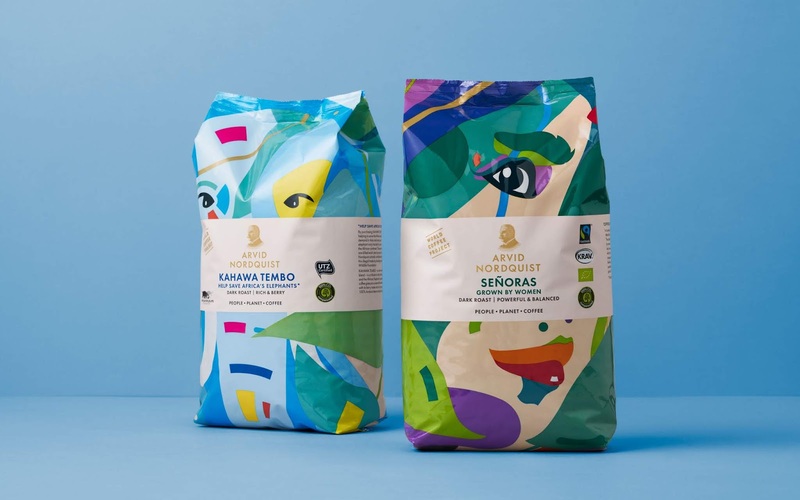 Today, Arvid Nordquist is one of the fastest growing coffee brand in Sweden and has a master blender and roastery in Stockholm. In addition, Arvid Nordquist is a Nordic trading company with operations in Sweden, Norway, Finland and Denmark. 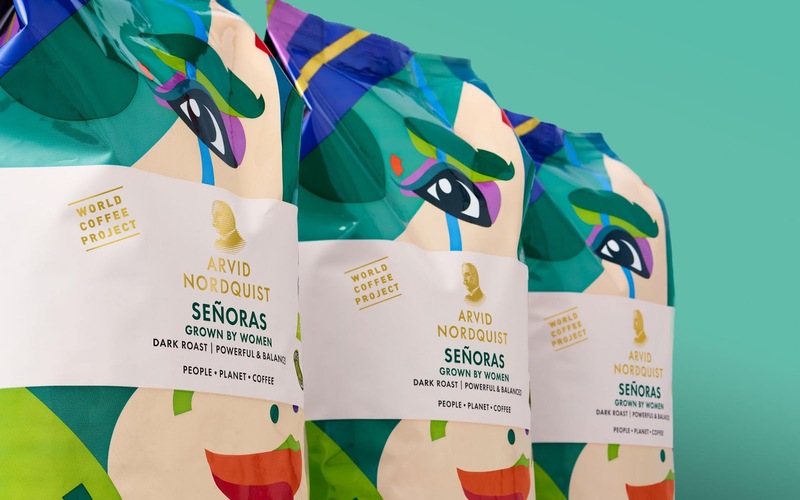 Arvid Nordqust works tirelessly with sustainability projects, supporting both coffee-producing countries and the people who work with their coffee. 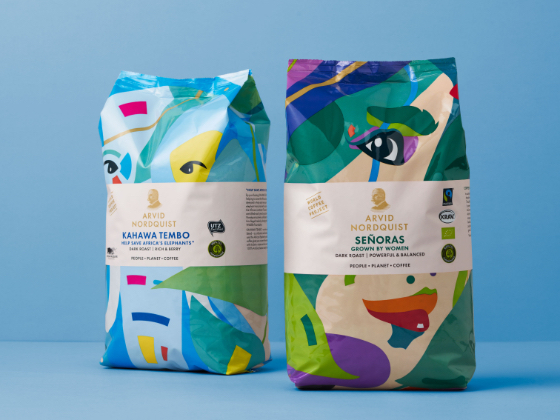 The initiative World Coffee Project aims to create a more sustainable world beyond sustainability certifications. 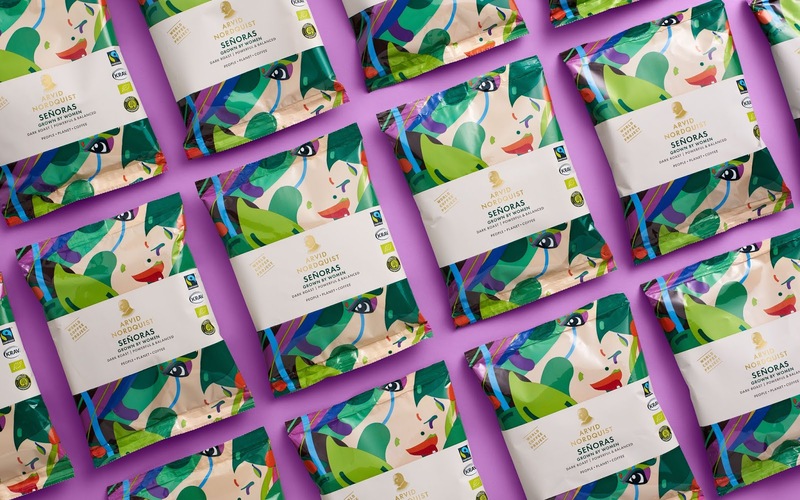 The brief was to create a concept for the new out-of-home range focusing on two specific projects: Senoras, which supports coffee plantations run by women, and Kahawa Tembo that helps saving elephants whose natural habitat lies near the areas where the coffee is grown. 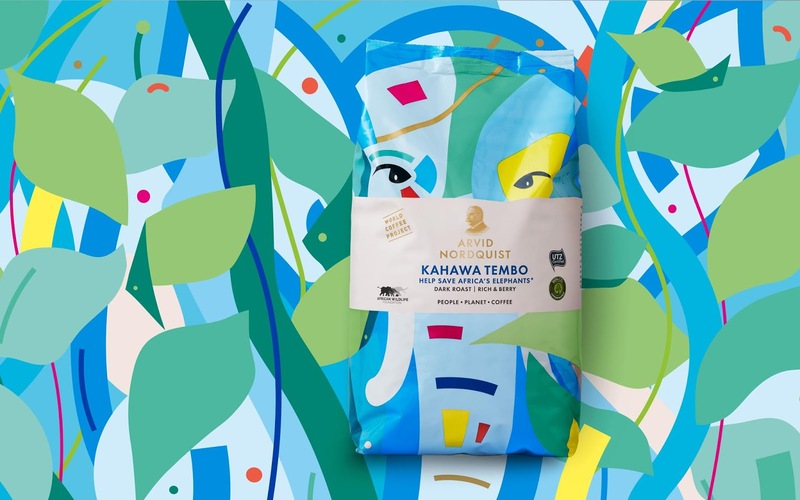 To tell these stories, we created a bold and confident design that breaks the usual coffee category cues, which quite often are focused on tradition, heritage and craft. 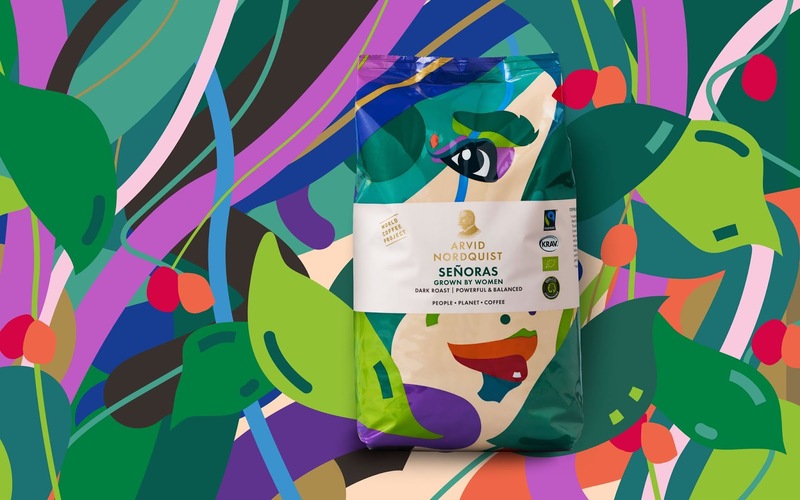 Using vivid, strong colors and artistic illustrations, we combined hand-drawn illustrations with digital layers, adding an exciting clash between a traditional and a more modern urban style. The motives clearly show whom the projects support and in what way.